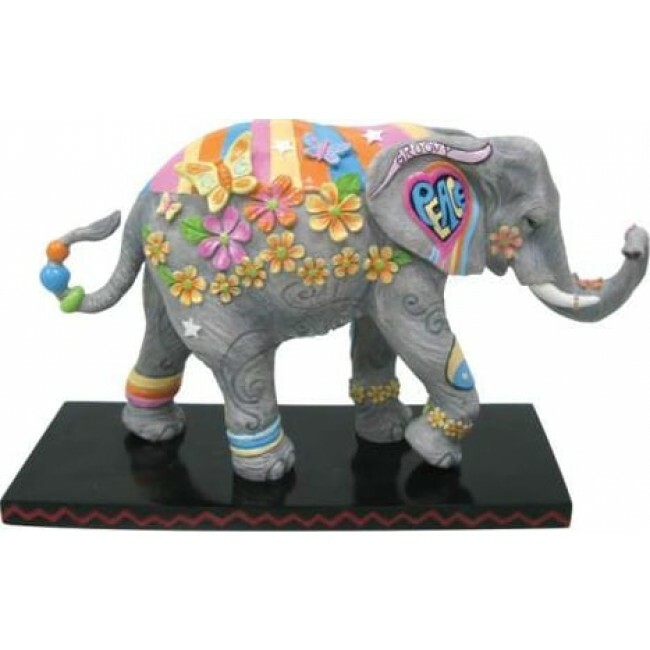 This elephant embodies the values from the Hippie generation such as peace, love, freedom, respect for others and for our Earth. This item has been hand crafted and painted adding great detail to the figure. Very coloful work of art. Measuring 5" tall.